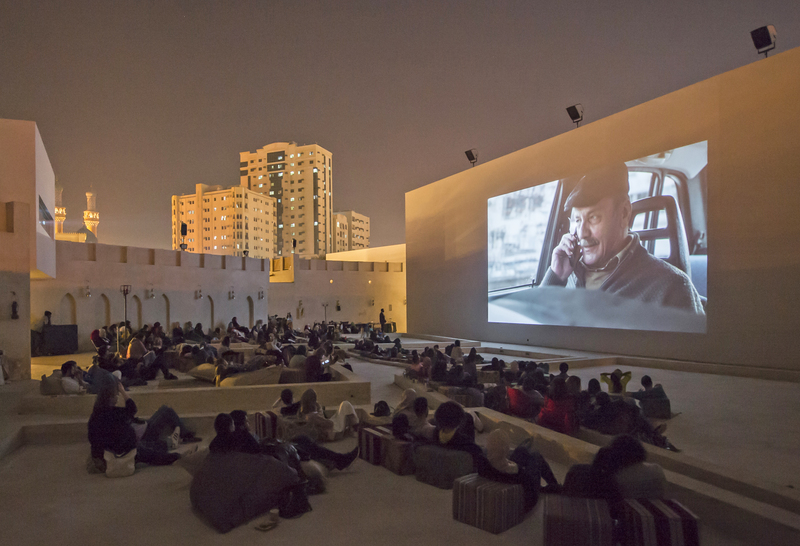 As part of its autumn 2018 programming, Sharjah Art Foundation will present public film screenings on Fridays and Saturdays from Saturday, 6 October to Friday, 16 November 2018 in its open-air Mirage City Cinema, Al Mureijah Square, Sharjah. The foundation’s Film Programme regularly screens a wide range of films and genres, including independent films, world cinema, classics, works by both established and upcoming directors, and specially curated series that explore particular themes. The autumn 2018 season will transport UAE audiences from Sharjah to Congo, Pakistan and beyond, with films such as Félicité, which is set in Kinshasa; Villa Touma, set in Ramallah; and Dukhtar, set in the mountains of Pakistan. Each of the plots of the films screened will focus on a personal tale of a protagonist who must navigate a variety of contemporary social challenges. This season will also feature Shirin Neshat and Shoja Azari’s internationally acclaimed film Looking for Oum Kulthum, which premiered at the 2017 Toronto International Film Festival, as well as a series of short films from Southeast Asia. The film screenings are free and open to the public. To learn more and view the full schedule, visit sharjahart.org.